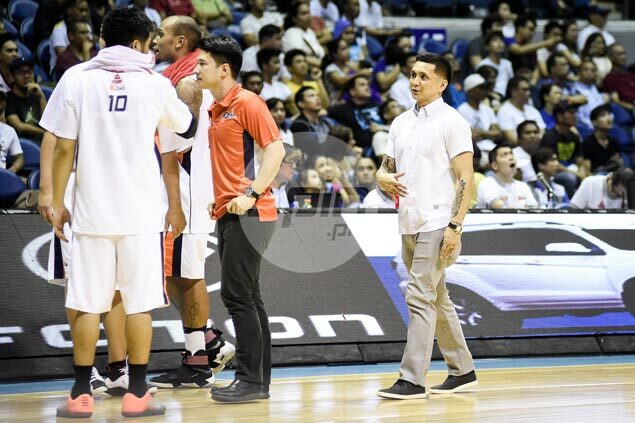 JIMMY Alapag as playing-coach in the Asean Basketball League? That became a possibility as sources told SPIN.ph a new Philippine club team being formed for the regional league is eyeing the 13-year PBA veteran as playing-coach when the new season unfolds this November. Alapag, sources said, is the first choice of Alab ng Pilipinas co-owners Charlie Dy and Dondon Monteverde, who also happen to be the managers of the former PBA MVP. The 5-8 guard is seen as the perfect choice to lead an ambitious program which will use the ABL team as launch pad for young players discovered in different parts of the country. Alab ng Pilipinas will be going to its first season in the ABL in partnership with Tanduay. Pressed for comment, Lawrence Chongson, Tanduay’s sports director, confirmed the report, but bared that it will all depend on Alapag’s talks with the big bosses of the Metro Pacific Investments headed by Manny V. Pangilinan. “Yan (Alapag to coach the team) ang pagkakaalam ko, pero kailangan pa yata ni Jimmy na magpaalam sa MVP group,” said Chongson. The flamboyant former UE Red Warriors coach, who is very close to Tanduay heir Bong Tan, also confirmed Tanduay’s partnership with Virtual Playground, the talent company of Dy and Monteverde. “Yan ang agreement sa amin eh. Sa kanila ang Philippine entry rights tapos Tanduay ang magba-bankroll,” he said while stressing that the ABL has now limited entries to one club team per country. “Ang kundisyon kasi namin sa kanila since nire-request talaga nila yung Alapag as head coach, dapat mag-playing coach si Jimmy and that Tanduay will always have the say in forming the team, pati sa gastusin,” said Chongson. 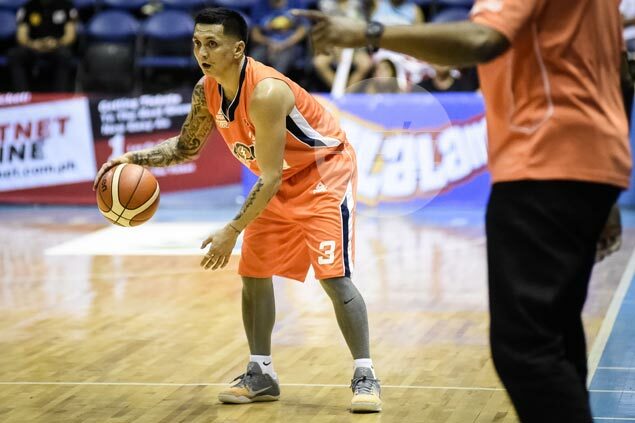 If and when Virtual Playground can convince Alapag to play, Chongson believes he can be a very good attraction for the team, which will be ABL’s main arm in regaining interest from Filipino fans. The last time the Philippines fielded a high profile team to the ABL was when San Miguel bannered by Eric Menk, Asi Taulava and Chris Banchero competed in the 2013 season. The country’s last participation in the regional league ended in debacle after the cash-strapped Pilipinas MX3 Kings finished dead last with a 2-18 win-loss record. Chongson bared that they are now looking at the PBA free agent market, Tanduay's team in the D-League and two American imports to form the core of Alab squad for the ABL 2017 season, which will open on November 25. Meanwhile, SPIN.ph sources also bared that the MVP group tried to acquire a franchise in the ABL where they planned to field the soon-to-be-formed Gilas Pilipinas 5.0 squad. The plan failed to push through because of the new ABL rule limiting each country to one entry. “Hindi na nakakuha ng slot, kasi naghigpit na ang ABL. One team per country na lang, unlike before na pwedeng dalawa ang Pilipinas, dalawa ang Thailand,” said the source. “Balak kasi ng MVP group na isalang dun ang Gilas kasi walang gagawin 'yung mga players nila eh, walang lalaruan pag walang invitation at Fiba tournaments,” added the source.